Dropped $35,000! Was $275,000---Now $239,900! 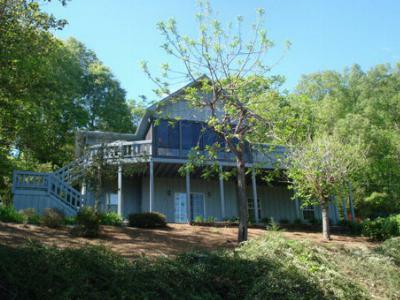 Great value in Mill Creek Country Club. 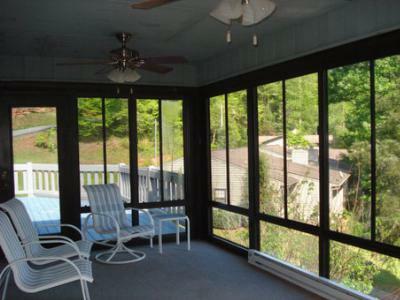 Relax on the year round porch and enjoy the long range mountain views. Nice Open Floor Plan with Vaulted Ceiling in Foyer/Living Rm/Dining Rm/Kitchen--they all flow as one. Doors from LR lead to Porch and Adjoining deck, lots of outdoor entertaining options. Spacious Rooms with over 2300 SF of living space. Terrace level has Family Room, Library, Bedroom and Full Bath. Oversized Garage with seperate workshop/storage room. Original Owners have taken pride and it shows. Partially Furnished. Schools servicing this area include Cartoogechaye Elementary, Mountain View 5-6, Macon Middle and Franklin High School all within 15 minutes of this home.